Yet another press image of HTC M8 made the rounds on Twitter, courtesy of @evleaks. 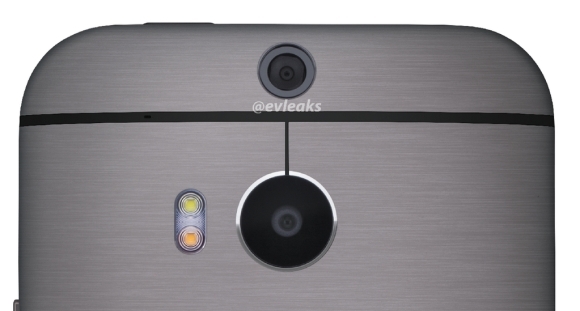 The photo gives us a close look at the device’s dual camera setup. In line with previous leaks, the image clearly reveals the dual-tone LED flash of the device. It appears similar to the one found in the iPhone 5s. Despite the numerous unscheduled appearances of HTC One’s successor, we are yet to find out how its main camera works. Rumors about the duties of the secondary camera on the back range from zoom and focus enhancement, all the way to the ability to change the depth of field. HTC will reveal its Android flagship this month, on March 25. The handset will likely be called the All New HTC One.